Mix water with coffee creamer until the water is as creamy as possible. Bring soup to boil, then reduce the heat and then simmer for an hour or so. Turn off heat and season to taste. Notes: After my first attempt at a soup ended with something very bland and tasteless, I thought I’d try again. Without cream or butter though, I wasn’t sure how I could create a soup with a nice creamy texture. I made myself a coffee to mull over the problem and ah-ha! in my hand was coffee creamer, the milk substitute I’ve been using. So I filled a 500ml jug of water and kept adding coffee creamer till the result was something resembling cream. 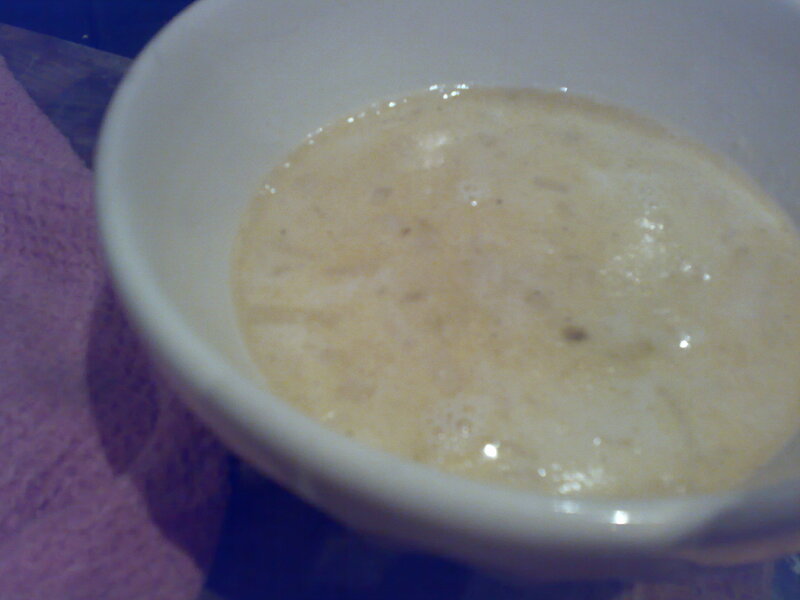 Then I made my butter bean soup again this time with my ‘cream’ and it tasted great! Who’d have thought it? Not me.